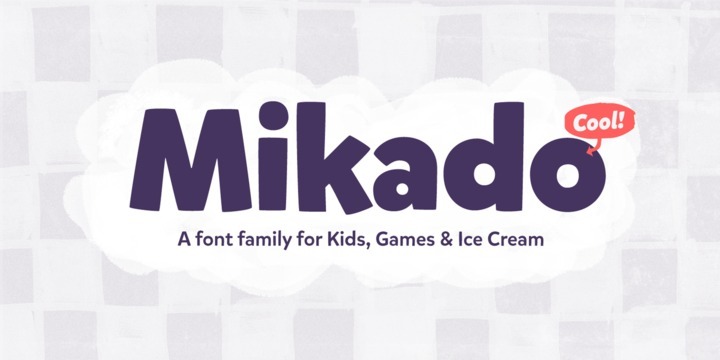 Mikado, the friendly, casual type family is fashioned by Hannes von Döhren. It is projected to be used ubiquitously. Whether it is food, games, service, food, or advertising, Mikado gives a positive, “out-of-the-box-appearance” in real big sizes. However, the straight architecture of the font is pleasantly legible in smaller sizes as well as longer texts. This makes it compatible for both screen and print.